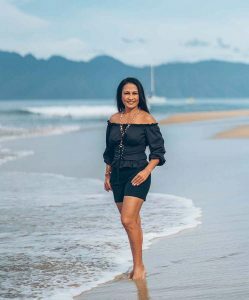 Owner, Siu Whitehead, born in Tonga and raised on Maui for most of her life; has been in the jewelry business for over 20 years. As a young woman, Siu began making her own jewelry as a hobby and when she realized she had the eye to create unique and fun pieces, she began to sell it at Craft Fairs and Special Events. This was the beginning of an exciting time for Siu. She was able to create her jewelry and sell it to visitors. As a very determined young woman, Siu was always seeking ways to put her Business Degree to work and she did. As years went by, Siu was able to travel within the USA and to other Countries, where she hand selected pieces, partnered with jewelry makers to design unique pieces for her to showcase and sell. Today, Siu has two jewelry stores, both called Maui Design Jewelry; one is located at the Westin Nanea Ocean Villas and the other store is located at the Marriott’s Maui Ocean Club. Currently, Siu continues to partner with jewelers to create breath-taking pieces and visit exotic places where she hand-selects her jewelry to showcases in her two stores. Her stores offer many warm and stunning pieces to fun and festive ones. Please stop by and we will be happy to assist you in choosing a little something from Maui for you and your special someone back home.